On Thursday 27 September, the ruling coalition in Italy - comprising the Five Star Movement and the League - presented a draft budget for 2019 with a deficit of 2.4% of gross domestic product (GDP). This target breaks with the previous government’s fiscal policy and raises fears among Member States, within European institutions and in financial markets. 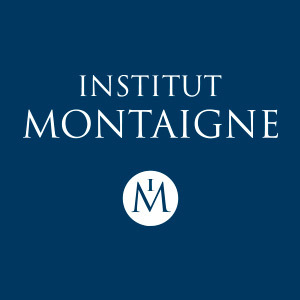 Eric Chaney, Economic Advisor to Institut Montaigne, shares his analysis of the situation. What is your take on this first founding act of the new Italian government's fiscal policy? I see it as having a double meaning. On the one hand, Giuseppe Conte's cabinet, which is under strong pressure from both coalition parties, wants to show its electorate that it intends to deliver its campaign promises, namely the introduction of a universal minimum income, investment spending, tax cuts and a partial cancellation of the pension reform. A literal implementation of these measures, the cost of which is estimated at €100 billion (5.6% of Italian GDP), would have caused the deficit to explode and, in fact, could not have been funded from the financial markets. Hence the second meaning of this 2.4% target: it is supposed to show Italy's partners that, after all, Rome is quite reasonable, especially when the French budget forecasts a deficit of 2.8% of GDP... Of course, the comparison is invalid since, in order to reduce its debt (131.8% of GDP in 2017), Italy must have a lower deficit than France (the debt of which "only" reached 97% of GDP in 2017). Yet the political argument is no less strong, especially against a French European Commissioner whose budgetary rigor was not very convincing when he was himself finance minister. How will the Commission react? How can this budget impact relations between Italy, Germany and Northern European countries? The Commission is caught in the crossfire. On the one hand, it is legally impossible for it not to react to Italy’s provocation, since the Italian debt reduction plan established by the previous government predicted a deficit of 0.8% of GDP in 2019. It is also politically impossible for it not to react, because the Eurozone’s creditor countries, and Germany in particular, would not tolerate it. On the other hand, Italy’s weight within the Eurozone, and especially that of its public debt - the highest in absolute terms -, will encourage the Commission to seek a compromise, in the form of a lower deficit target (probably around 2%). The financial markets will also push for a compromise. The cost of the Italian debt is rising quickly, as the bond yield spread with Germany now reached three points for long maturities (10 years). I therefore bet that the Italian coalition will bend and seek a compromise, despite Matteo Salvini's rantings. Yet, even then, the harm will be done, and both markets and Italy's partners’ already fragile trust will remain damaged. It is however worth noting that markets’ pressure is diffuse and not biting in the short term: thanks to the debt management skills of the Italian Treasury, the average maturity of public debt held by non-residents is 11.8 years, which leaves some time to prepare. Is Italy's position sustainable on the long term? Are you worried that some segments of the League and the Five Star Movement will eventually want Italy to leave the Eurozone? Italy’s position is unique among countries with heavily indebted governments - a club that has grown significantly since the 2008 crisis (France, Spain, and the United States’ public debts are all close to 100% of GDP). Italy’s household and corporate debt is so low that its overall debt is relatively moderate, at 250% of GDP, compared to 290% for France, for example. In the long term, the sustainability of the Italian debt is thus a domestic matter above all. But this is precisely the issue: rather than seeking to reduce its debt by selling assets, which would ultimately result in a debt transfer from the public to the private sector, the coalition chose to outsource its financial difficulties by calling for the cancellation of debt securities held by the European Central Bank, which is obviously unacceptable for Italy's partners. This path will lead nowhere. If the Italian government persists in following it, it could well provoke a crisis in the Eurozone, which would be much more severe than the one of 2011-2012. Does this mean that part of the coalition is working to leave the Eurozone? On the margins, yes, it could well be the case. In this regard, it is worth noting that Steve Bannon, Donald Trump's former strategist, is travelling across Europe to fan the flames of anti-Union nationalist movements. Yet I don't think it is the goal pursued by the leaders of the Lega or the Five Star Movement, whose main priority is to stay in power. They do know that, although Italians have become hostile to the European Union in general and to Germany in particular, they paradoxically remain very attached to the euro, because the single currency is guaranteeing their purchasing power!